News from Performance Diesel, Inc.
WEBSTER, TEXAS (August 1, 2012) – Performance Diesel, Inc. is pleased to announce the addition of two new MarineDiesel DuraMax marine engine installations. Performance Diesel has delivered a new 2 x VGT350hp engine for installation in a commercial fishing boat, and 2 x VGT450hp engine for a recreational dive boat. Both boats will be put into service by late September 2012. The MD-VGT DuraMax engine is a General Motors diesel engine developed for light- and medium-duty trucks, initially installed in 2001 model year Chevy and GMC trucks. MarineDiesel and Performance Diesel now brings the power and reliability of the DuraMax engine to commercial and recreational watercraft. MarineDiesel-Duramax, the North American Distributor for Hyundai-Seasall, and is also OEM sales/service dealer for ZF® Transmissions, Onan and Northern Lights® generators. 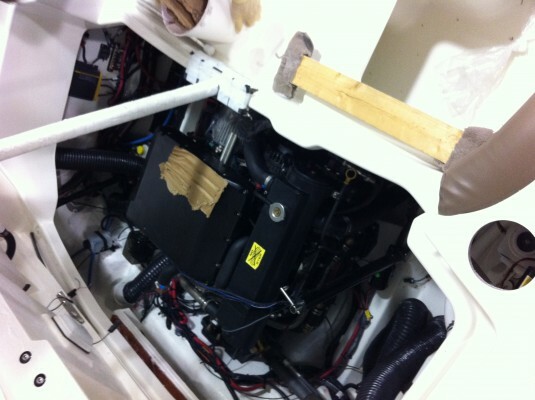 WEBSTER, TEXAS (August 1, 2012) – Performance Diesel, Inc. is pleased to announce the installation of the first Performance Diesel DuraMax engine into a Sea Ray 270 SLX sport boat. This new custom pleasure boat equiped with the VGT-350E couple to a Mercury Bravo 3X Drive will be featured as Performance Diesel’s new company demo. The boat is scheduled to appear at Surf Expo, Fort Lauderdale International Boat Show, and the Miami International Boat show in 2012 and 2013. Sea Ray is the world’s largest manufacturer of superior quality pleasure boats, producing more than 40 models ranging from 17 to 60 feet. The four families of Sea Ray products include sport boats, sport cruisers, sport yachts, and yachts. Founded in 1959, Sea Ray was one of the first boat builders to use fiberglass and other high-tech composite materials in the construction of pleasure boats. The company continues to lead the way in innovation through unique styling, performance, interior design, and technical systems in all its product lines. Performance Diesel has enhanced the performance of the Sea Ray 270 SLX sport boat with the addition of the Marine Diesel DuraMax engine. The Marine Diesel DuraMax is a General Motors diesel engine developed for light- and medium-duty trucks, initially installed in 2001 model year Chevy and GMC trucks. Performance Diesel now brings the power and reliability of the DuraMax to one of the world’s best-selling watercraft. The Marine Diesel Duramax is offered in 350, 400, 450, and 500 horsepower. Performance Diesel, Inc. offers a wide range of new engines and services including new engine installation, engine re-power, engine overhauls, engine repair and maintenance. 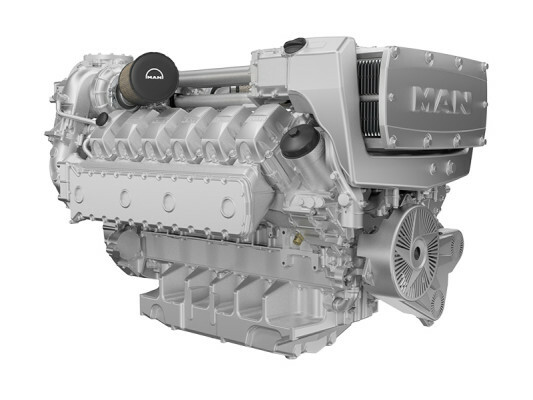 New engines include MAN, Marine Diesel-Duramax, and Hyundai Seasall. The scope of service includes marine pleasurecraft and commercial propulsion engines, and they sell and service transmissions, as well as stand-by and continuous-rated generator sets. Manufacturers serviced include MAN®, ZF® Transmissions, Northern Lights®, and Onan®. Performance Diesel is the distributor for MAN high-speed diesel engines for the South-Central and Eastern regions of the United States, North American Distributor for Hyundai SeasAll, and is also OEM sales/service dealer for ZF® Transmissions, Onan, and Northern Lights® generators. Troy Liffig Appointed New Sales Manager at Performance Diesel, Inc.
WEBSTER, TEXAS (September 8, 2011) – Performance Diesel, Inc. is pleased to announce the appointment of Troy Liffig to the role of Sales Manager, effective September 1, 2011. Mr. Liffig joined Performance Diesel in 1991 as a technician, and for the past 10 years has maintained sales and technical information for Sea Ray, which is one of Performance Diesel’s biggest customers. Mr. Liffig resides in Cocoa Beach, Florida, where he is active in service work through his local church, and serves as Director for the Space Coast Area “Upward Basketball” program. Performance Diesel, with locations in Webster, Texas, Lower Bank, New Jersey and Cocoa Beach, Florida, is the sole U.S. diesel engine distributor of Hyundai marine engines, and is a leading U. S. distributor for MAN and Marine Diesel Sweden engines. Performance Diesel, Inc. offers a wide range of services including new engine installation, engine re-power, engine overhauls, engine repair and maintenance. The scope of service includes marine pleasurecraft and commercial propulsion engines, and they sell and service transmissions, as well as standy-by and continuous-rated generator sets. Manufacturers serviced include MAN®, Detroit Diesel®, Caterpillar®, Cummins®, Perkins®, ZF® Transmissions, Twin Disc®, Northern Lights®, Isuzu®, Onan®, and Westerbeke®. Performance Diesel is the distributor for MAN high-speed diesel engines for the South-Central and Eastern regions of the United States, and is also OEM sales/service dealer for ZF® Transmissions and Northern Lights® generators. Malcolm Phillips, owner of of Performance Diesel, Inc., recently traveled to South Korea for the signing of a distributorship agreement with Hyundai SeasAll. Performance Diesel was one of four companies worldwide chosen by Hyundai SeasAll to represent the marine engine distribution and after sales service of Hyundai SeasAll’s recently launched S- and D-series engines. Performance Diesel, along with companies from Germany, Spain and France, were chosen due to their long-term experience in the marine diesel business, as well as their strong commitment to market development. The signing ceremony was held in conjunction with 2011 International Distributors Meeting at Hyundai SeasAll’s headquarters in South Korea. Hyundai Motor Company, having made a name for itself in the automotive sector, has now entered the marine industry with a new line of state-of-the-art marine diesel engines that are reliable, clean, fuel-efficient, quiet and lightweight. The all new Hyundai SeasAll diesel marine engines are available in sterndrive, shaftdrive and waterjet. Performance Diesel, with locations in Webster, Texas, Lower Bank, New Jersey and Cocoa Beach, Florida, is the sole U.S. diesel engine distributor of Hyundai marine engines, and is a leading U. S. distributor for MAN and Marine Diesel Sweden engines. Malcolm Phillips, owner of of Performance Diesel, Inc., recently traveled to South Korea for the signing of a distributorship agreement with Hyundai SeasAll. Performance Diesel was one of four companies worldwide chosen by Hyundai SeasAll to represent the marine engine distribution and after sales service of Hyundai SeasAll’s recently launched S- and D-series engines. Performance Diesel, along with companies from Germany, Spain and France, were chosen due to their long-term experience in the marine diesel business, as well as their strong commitment to market development. 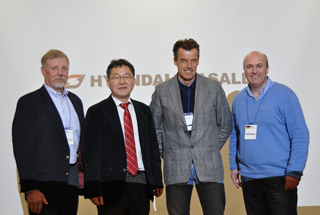 The signing ceremony was held in conjunction with 2011 International Distributors Meeting at Hyundai SeasAll’s headquarters in South Korea.